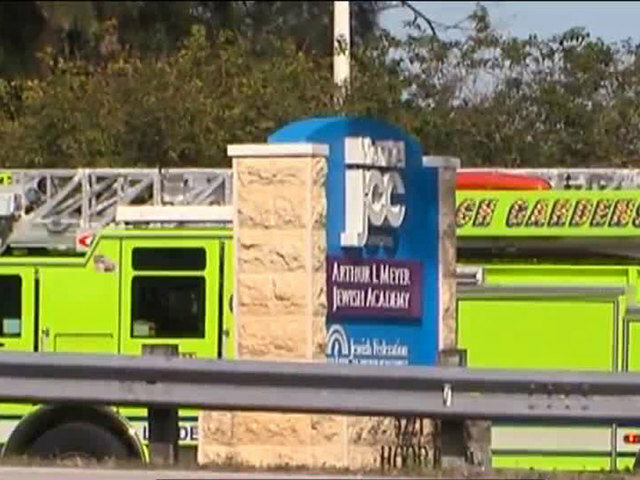 UPDATE: Police have given the 'all clear' after investigating a bomb threat at the JCC in Palm Beach Gardens. 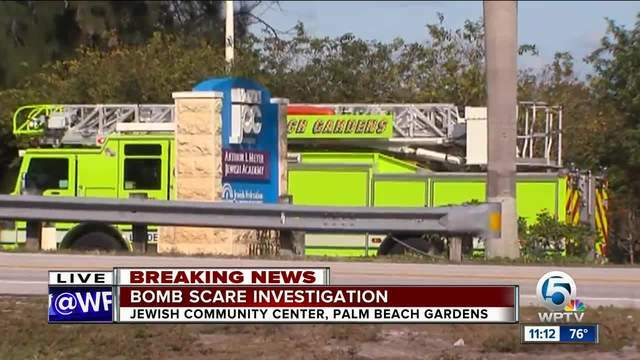 Palm Beach Gardens police were called out to investigate a bomb scare Wednesday morning at the Mandel Jewish Community Center on Hood Road. A fire truck and police could be seen in front of the Arthur Meyer Jewish Academy. Children were evacuated from the building and the facility says they are safe. A lockdown in effect an no one is currently allowed on campus. "You try to keep everyone calm and keep from starting crazy talk," said mom Lauren Lieberman. Another mom, Nicole, added, "Of course I was ultimately concerned and fearful but I feel confident that the J unfortunately having been through situations like this, had the right protocols in place to make sure our kids were safe." 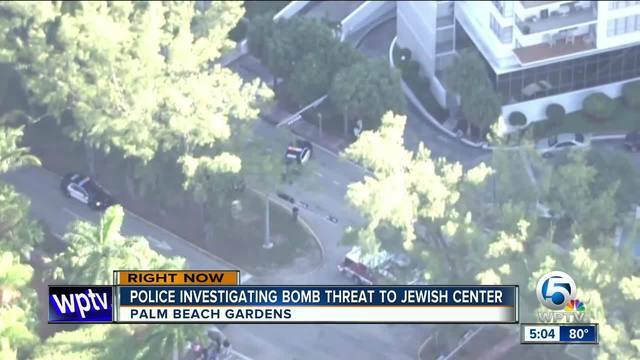 Police responded to reports of a bomb threat at the Miami Beach Jewish Community Center Wednesday morning, according to NBC Miami. They later cleared the scene. The latest threat in Miami Beach happened about a week after threats were called in at the same JCC as well as the Alper JCC in Kendall, NBC Miami reported. "This incident is not an isolated incident," said Major Paul Rogers, with the Palm Beach Gardens Police Department about the bomb scare at the JCC in Palm Beach Gardens. "it appears that it's part of something larger and we are working with our law enforcement partners to investigate this incident."